A new third-party iPad peripheral coming soon to the U.S. will turn Apple's touchscreen tablet into more of a traditional laptop form factor, with a clamshell case that provides tactile input via an attached Bluetooth keyboard. 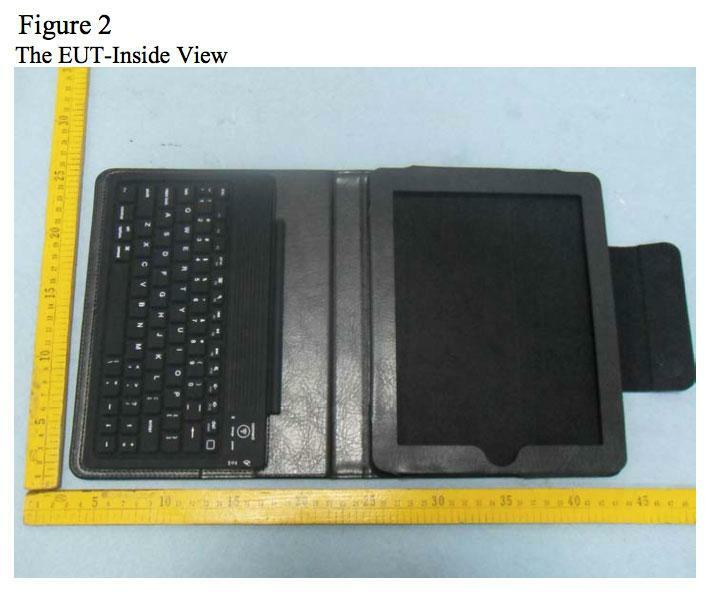 Because keyboards accessories must connect to the iPad wirelessly, the Bluetooth device required approval from the U.S. Federal Communications Commission, which is how the forthcoming accessory was exposed. Created by Shenzhen Paoluy Silicone Technology Co., Ltd., the product dubbed "BL-BKB76" passed through the FCC last Friday and will likely be available for sale in the U.S. soon. 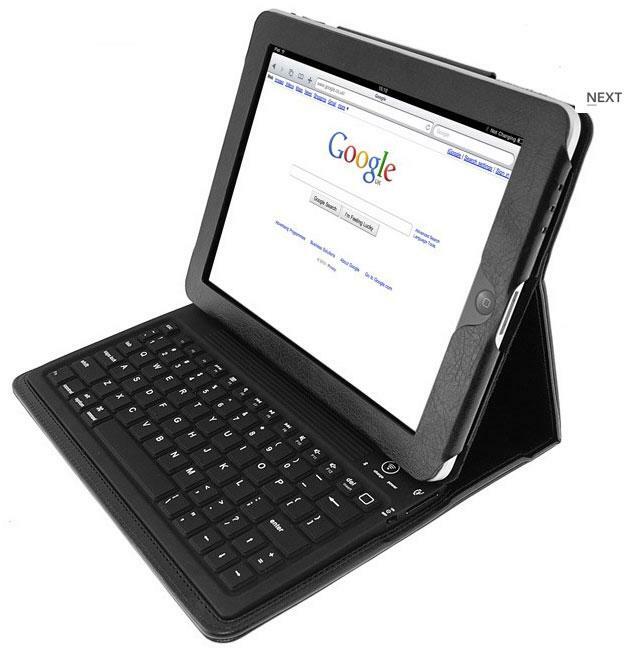 The clamshell design allows the iPad to be used in a laptop-style configuration, with the screen propped up and a flat keyboard to type on. Such a product would also allow the screen to be protected when stored. The product is also set for debut in the U.K., where it is dubbed "KeyCase iPad Folio with Integrated Bluetooth Keyboard" and carries a price of £59.95, or $92.72 U.S. The product's manual says keyboard has a reported standby time of 100 days, and offers a "theoretical" uninterrupted working time of 90 hours, though the U.K. retailer pegs the usage time as 45 hours. 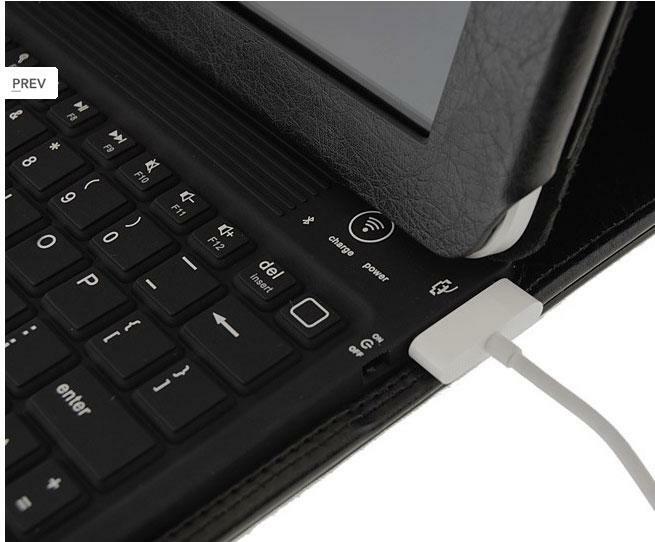 The battery, which must be charged separately from the iPad, takes between 4 and 4-and-a-half hours to charge, and can be charged with a standard Apple USB iPod connector cable. Other advertised features include a "durable leather style exterior," a magnetic fastener that keeps the case closed, and auto-sleep mode when idle for 10 minutes. A clamshell Bluetooth keyboard concept was shown off soon after the iPad was released and gained considerable attention, but that product was simply a hypothetical rendering and never became a reality. Though it does not ship with a keyboard, opting instead to let users rely on the virtual touchscreen, the iPad is compatible with nearly any Bluetooth keyboard, including Apple's own hardware. Apple also sells a keyboard dock made specifically for the iPad. 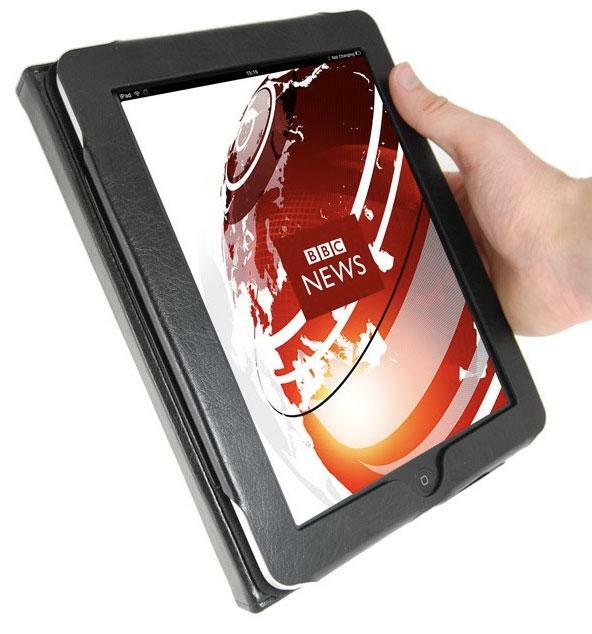 Even with its lack of standard keyboard, the iPad has been viewed as a threat to the low-cost, low-power netbook market. Major netbook makers have reduced shipments for the remainder of 2010, after sales of those products have slowed since the release of the iPad. Meanwhile, Apple's touchscreen tablet sold 3.27 million units in its first three months.